The tagline of this blog is that it contains honest thought. So let me be honest and straight-forward about choosing my daily skin care. I have heard this before that choosing right skin care is an investment for life. What you do to your skin right now decides what your skin will be like when you are at your 40s, 50s, and so on. How do I choose then? First be honest about finance. How much money do you earn? Let me answer that question first. I come from middle-low family and I am still student who have not earned constant income yet. 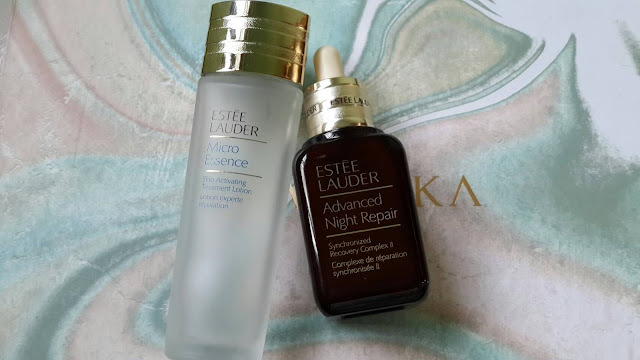 With that situation, this silly early 20s woman (aka me) bought Estee Lauder Advanced Night Repair Serum two years ago no longer after I realized about, "your skin is a lifetime invesment" and that kind of stuff. 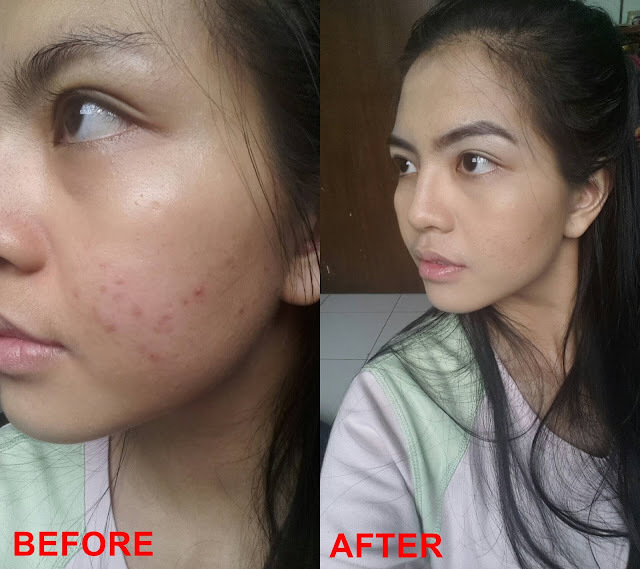 The serum cost me IDR 1,250,000. 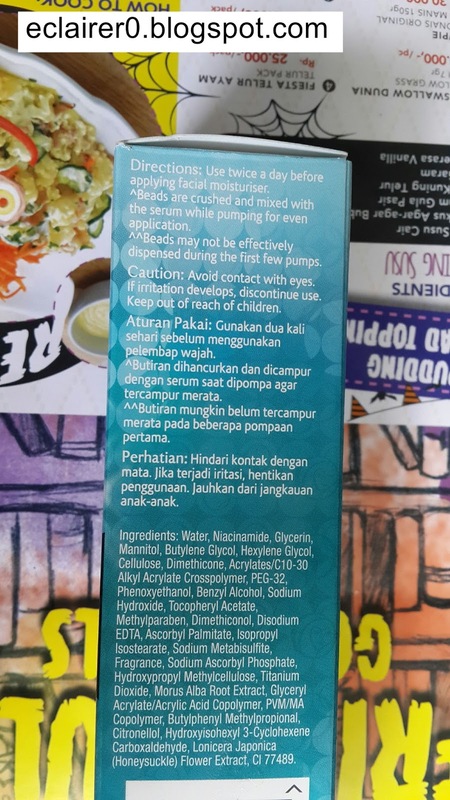 I do not eperience serious skin problems with this serum but this one also did not work as good as I expected. So with its high price and the result on my face, I regretted my decision... actually up until now. What product do I choose then? Now I am using skin care from Olay. 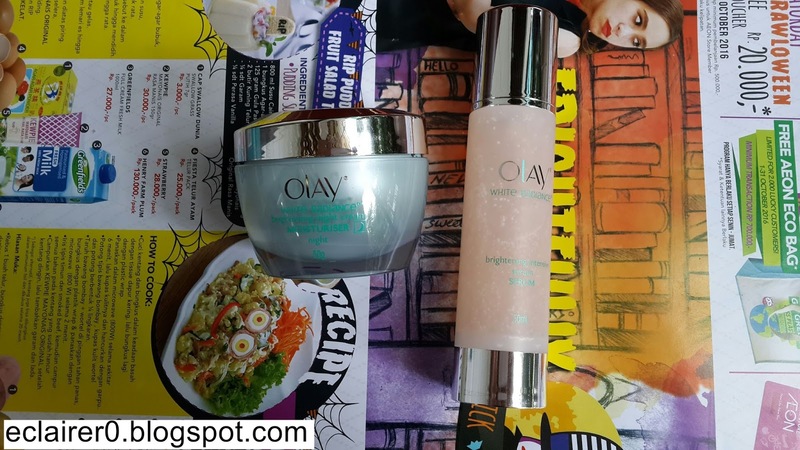 Both are Olay White Radiance Brightening Intensive Serum and Olay White Radiance Brightening Night Cream Moisturizer. I used Olay moisturizer first since a year ago as the substitute for Estee Lauder moisturizer. Estee Lauder products are all very expensive so I only used one package of its moisturizer and after it ran out, I switched to Olay night cream moisturizer after applied Estee Lauder serum on my face. It worked well. At first I thought it was because Estee Lauder serum was sooo good and Olay moisturizer did nothing but after using for more than a year and used two packages of moisturizers, I realized that Olay moisturizer made my skin looked dewy and I love it. I love skin that is dewy but not oily. Dewy like Korean actresses. 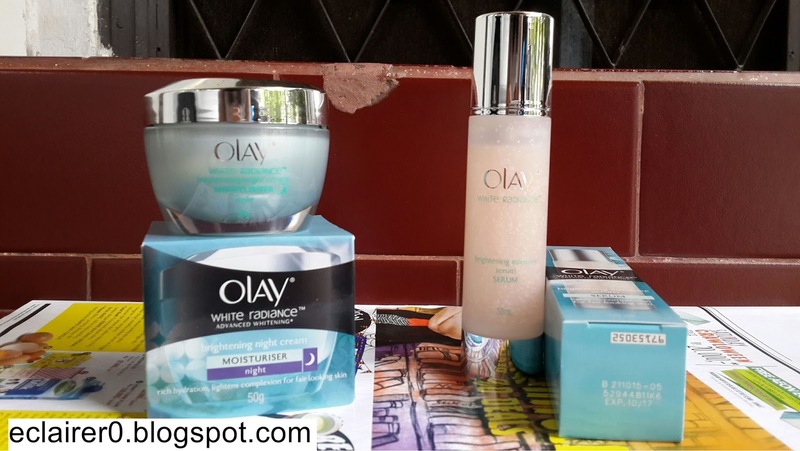 The good news is that Olay products are very affordable for me. I can pump the serum and apply moisturizer as much as I want and also apply those on my neck (Fyi, I never applied Estee Lauder serum on my neck because it was so pricey and I was afraid that it would ran out quickly). Do you want to know how much both Olay cost me? It is only IDR 140,000 for each. Yeap, both serum and moisturizer has the same price. Next about texture. Well, the serum is dense liquid with micro beads which crumble as we apply those to our skin. Moisturizer itself is very light and easy to apply all over our face. I don't really care about the smell but I know some people do so I smell both serum and moisturizer for all of you. Well, both do not smell so strong which is good because both does not contain much perfume. As a link back, I would like to remind one important tip from me in choosing skin care, it is be honest with how much money you have. Don't buy things especially things you don't really need with money you don't have. Don't follow trend and think that expensive skin cares work well than affordable ones. As I wrote on my previous post, Nivea Creme which worth below IDR 20,000 could erase fine lines on my mother's forehead. And if I may add another tip, choose skin care over make up. Skin care is very important, to hydrate, moisture, and take care of your skin when you sleep and in exposure of UV A and UV B. So don't bother to buy make ups if you don't have any skin cares. Remember: skin care over make up! Rasanya nggak bisa move on dari Estee Lauder deh, Mbak. 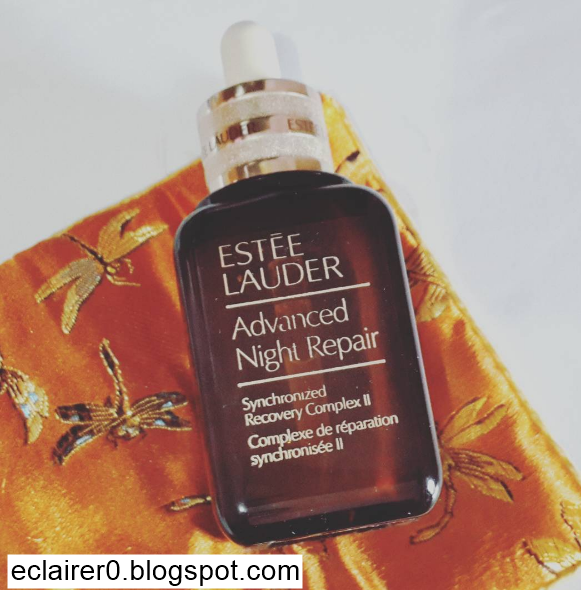 Night serum-nya abis, kepincut sama Estee Lauder Double Wear Foundation. :(:(Bagaimana ini? 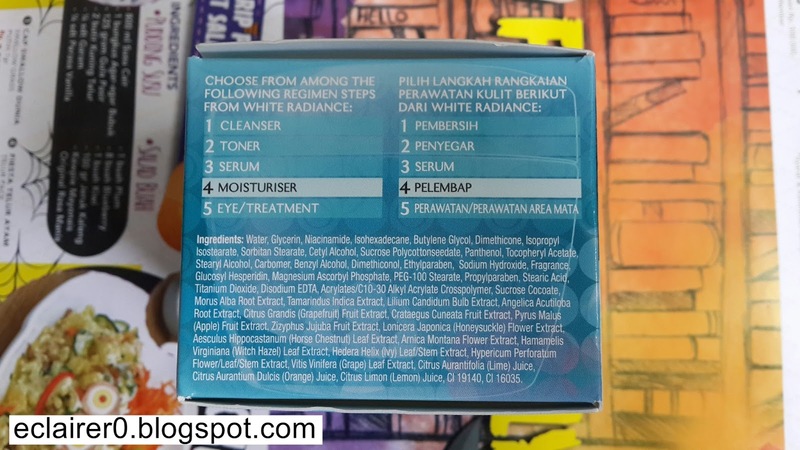 Thank you for reading, kalo kamu pakai skin care apa nih?